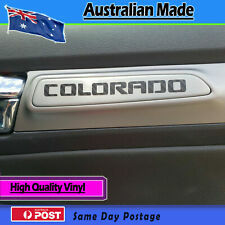 Holden Colorado Sticker Door Decal Carbon fibre finish - set of 2. Remove the backing (clear) from the sticker and lightly position it onto the window. Firmly push the image down using a sponge or cloth ( dry), starting at the centre and working carefully outwards, ensuring constant pressure is applied across the entire design. This is not a genuine FORD product. it is a decal made from high wearing vinyl in a carbon finish. slowly on an TIGHT ANGLE (almost rolling it off) lightly pull the clear off. take care if the vinyl sticker lifts to push the image back down and pull the clear off. Slowly on an TIGHT ANGLE (almost rolling it off) lightly pull the clear off. take care if the vinyl sticker lifts to push the image back down and pull the clear off. Carbon Vinyl Effect. Vinyl Car Sticker - Ford Logo. Size:3" X 3"05(Decepticon) or 3"03 X 3"05(Autobot). 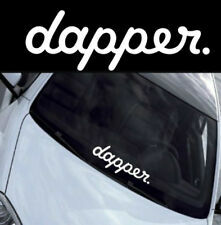 1 x Car Sticker. Easy to paste,long lasting and will not ruin your car. You may also like. Sticker - Yamaha Tuning Forks set of 2. Remove the backing (clear) from the sticker and lightly position it onto the window. Firmly push the image down using a sponge or cloth ( dry), starting at the centre and working carefully outwards, ensuring constant pressure is applied across the entire design. 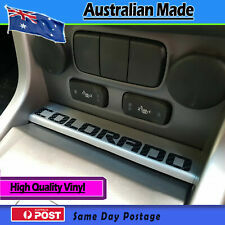 Dash scratch protection Decal fits Ford Ranger. slowly on an TIGHT ANGLE (almost rolling it off) lightly pull the clear off. take care if the vinyl sticker lifts to push the image back down and pull the clear off. Slowly on an TIGHT ANGLE (almost rolling it off) lightly pull the clear off. take care if the vinyl sticker lifts to push the image back down and pull the clear off. default colour is black. let us know if you want blue, black, green, black carbon or red. Make your car and motorcycle unique and beautiful. Compatible for Toyota Volkswagen Buick Chevy GMC,, Tesla, Volvo. Item Type:Decals & Stickers. Peel off backing paper and press sticker firmly on the outside of your window. You can use a credit card to scrape and press the sticker. 1 sheet wolf head motorcycle sticker(3 wolf head). Style: Wolf head. Silver DIY 3D CARBON FIBER VINAL WRAP FILM SHEET STICKER CAR DECAL 12'' x 50'' Description: -Textured Durable Flexible Realistic Feel. -The pressure-activated adhesive allows you to slide and reposition the film until you apply firm pressure. -This material can be used on the exterior or interior of your vehicle. -It will cover just about any smooth surface. -Will hide and cover minor scratches and small blemishes in your cars finish. -Flexible and durable - bonds to flat or curved surfaces like automobile roofs, hoods, trunk lids, spoilers, wings, bumpers, fenders, speaker enclosures, dashboards, side pillars, rims, door handles, and interior trim. Even your computer, cellphone, and much more. -Size: Approx. 127cm x 27cm / 50'' x 12''. Protect your fuel tank or cover up ugly scratches from your belt buckle with this Rubber tank protector. Stick-on adhesive tank protector enhances the look of your bike while protecting your valuable paint job. Will not fade like printed decals. Waterproof and sun block, deguming will not leave a trace. A good decoration for your car. 1 Car Sicker. 1 Keyring sticker. Easy to key switch ignition cover. Easy installation, just peel and stick. Night light for about 8 hours. Make your car and motorcycle unique and beautiful. Easy to remove without any residual. Can also used for trunk, boot, radio, carashboard, notebook, laptop, piano, guitar, window, wall, door and so on. This sticker is cut out from high quality. Make your car and motorcycle unique and beautiful. 1 dog paws print car sticker(1 pair). This sticker is cut out from high quality, no white background on these stickers. Easily apply and remove without residue. 12" x 50" 3D Carbon Fiber Car Vinyl Film Blue Sheet Wrap Sticker Decals DIY New Description: -Textured Durable Flexible Realistic Feel. -The pressure-activated adhesive allows you to slide and reposition the film until you apply firm pressure. -This material can be used on the exterior or interior of your vehicle. -It will cover just about any smooth surface. 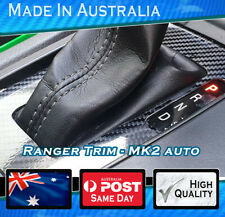 -Will hide and cover minor scratches and small blemishes in your cars finish. -Flexible and durable - bonds to flat or curved surfaces like automobile roofs, hoods, trunk lids, spoilers, wings, bumpers, fenders, speaker enclosures, dashboards, side pillars, rims, door handles, and interior trim. Even your computer, cellphone, and much more. -Size: Approx. 127cm x 27cm / 50'' x 12''. New 3D Film Carbon Fiber Vinyl Wrap Sheet Roll Car Sticker Phone Laptop DIY PINK Description: -Textured Durable Flexible Realistic Feel. -The pressure-activated adhesive allows you to slide and reposition the film until you apply firm pressure. -This material can be used on the exterior or interior of your vehicle. -It will cover just about any smooth surface. -Will hide and cover minor scratches and small blemishes in your cars finish. -Flexible and durable - bonds to flat or curved surfaces like automobile roofs, hoods, trunk lids, spoilers, wings, bumpers, fenders, speaker enclosures, dashboards, side pillars, rims, door handles, and interior trim. Even your computer, cellphone, and much more. -Size: Approx. 127cm x 27cm / 50'' x 12''. Motorcycle Fuel Oil Tank Fish Bone Style Stickers Decals Paster for Honda Yamaha. Protect gas tank from scratch. Waterproof and Durable Tank Gas Protector Pad. 1 Motorcycle Tank Pad Protector. Fit for all motorcycles. We will reply you ASAP. Size:17 5.5cm. 3D Gray 12 x 50'' Carbon Fiber Fibre Vinyl Wrap Film Sheet Car Decal Sticker DIY Description: -Textured Durable Flexible Realistic Feel. -The pressure-activated adhesive allows you to slide and reposition the film until you apply firm pressure. -This material can be used on the exterior or interior of your vehicle. -It will cover just about any smooth surface. -Will hide and cover minor scratches and small blemishes in your cars finish. -Flexible and durable - bonds to flat or curved surfaces like automobile roofs, hoods, trunk lids, spoilers, wings, bumpers, fenders, speaker enclosures, dashboards, side pillars, rims, door handles, and interior trim. Even your computer, cellphone, and much more. -Size: Approx. 127cm x 27cm / 50'' x 12''. Easy installation, just peel and stick. Can be placed on any smooth surface. This sticker is cut out from high quality. All stickers are individually cut. Make your car and motorcycle unique and beautiful.